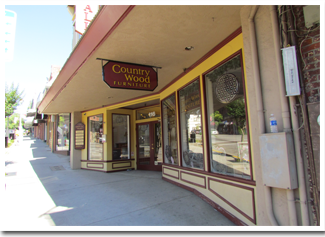 Tom & Shoshana Doan purchased the original “Country Wood Unfinished Furniture” store in 1993, 1 – 1/2 years after its inception. As we love the versatility and reliability that comes with unfinished furniture, the solid wood industry has remained a core of our business. But it doesn’t stop there; with time we have expanded our horizons and grown. 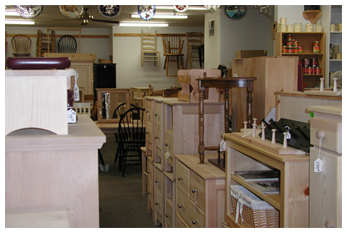 We now carry many lines of finished furniture, and our very own lines of custom built furniture made here in Nevada County… and we leave the “unfinished” out of our name because we are not just that but a lot more. 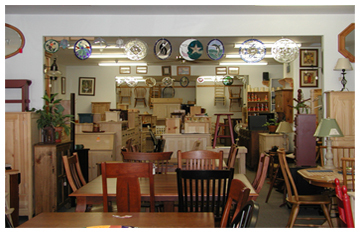 Country Wood Furniture also carries a large variety of stained glass, decor, lamps, pictures, mirrors and more. And if you are looking for a custom paint or stain finish to match your style, this is the place to come. Open Monday – Saturday 10am – 5pm. Closed Sundays.